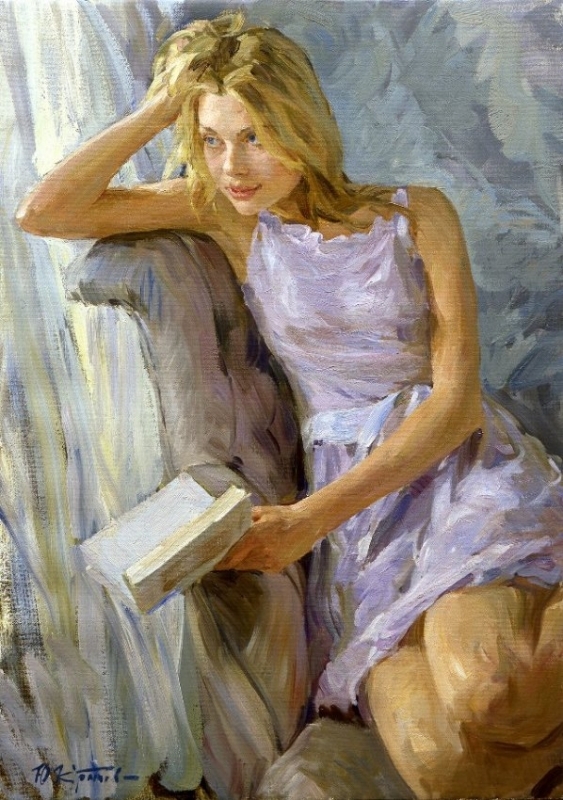 «Love poetry»; 70х50; oil on canvas; 2004. 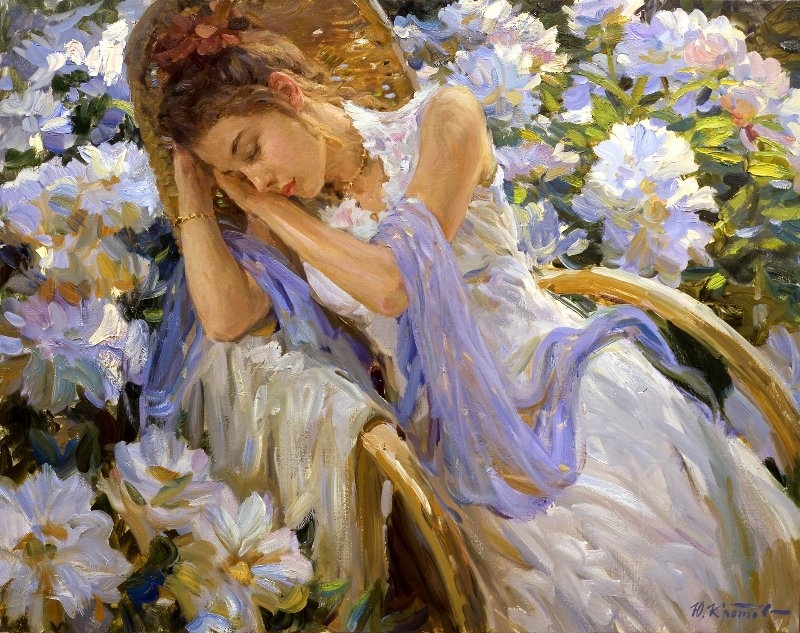 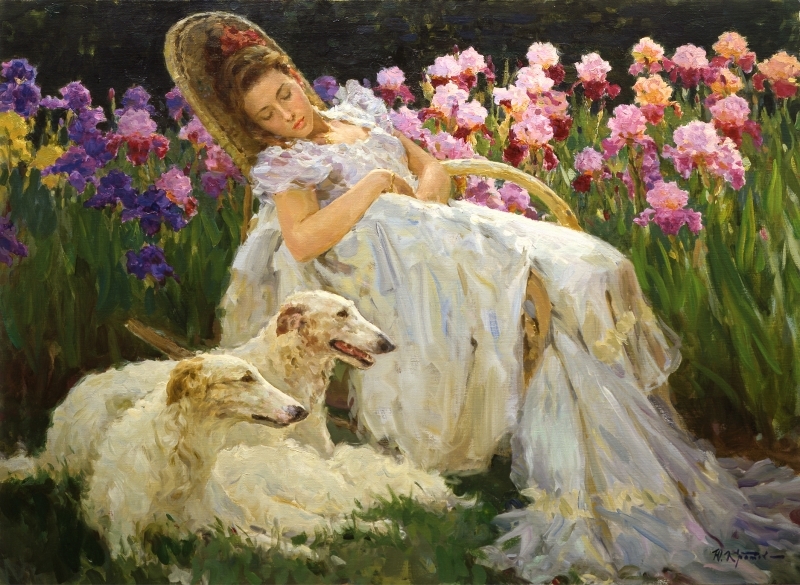 «Romantic thoughts, in the flower Garden»91х64; oil on canvas; 2008. «Dream of Iris»73х100; oil on canvas; 2001. 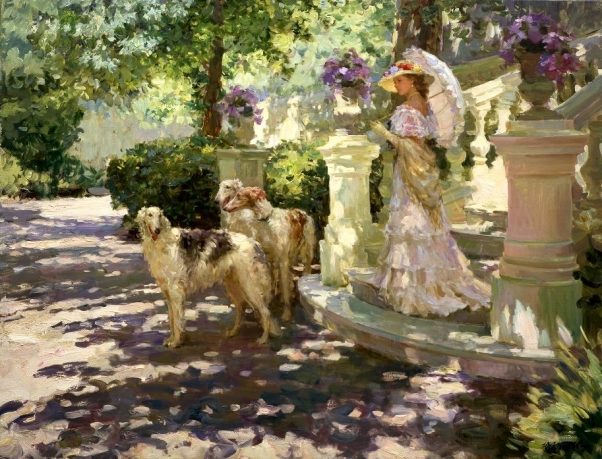 «Before a journey»80х110; oil on canvas; 1999. 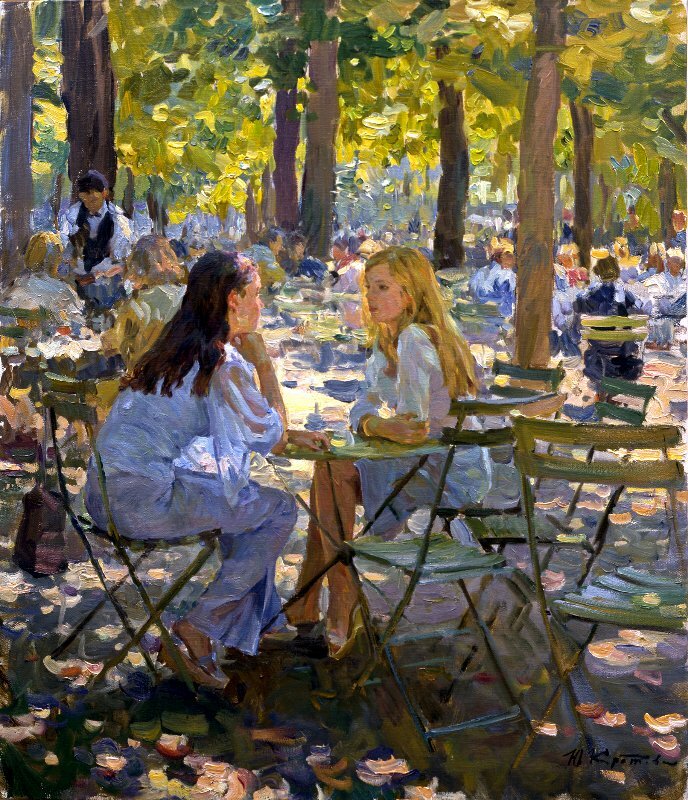 «Two friends»92х73; oil on canvas; 2004. 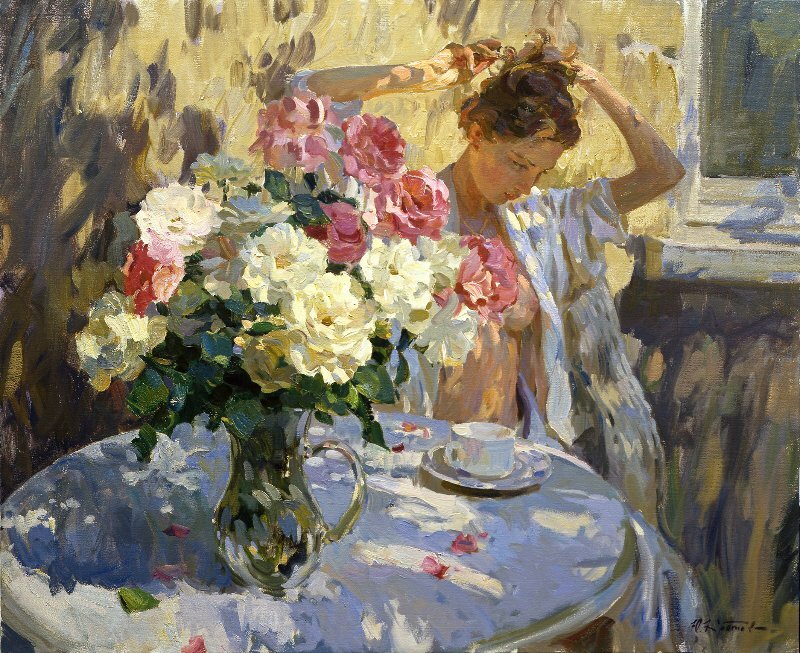 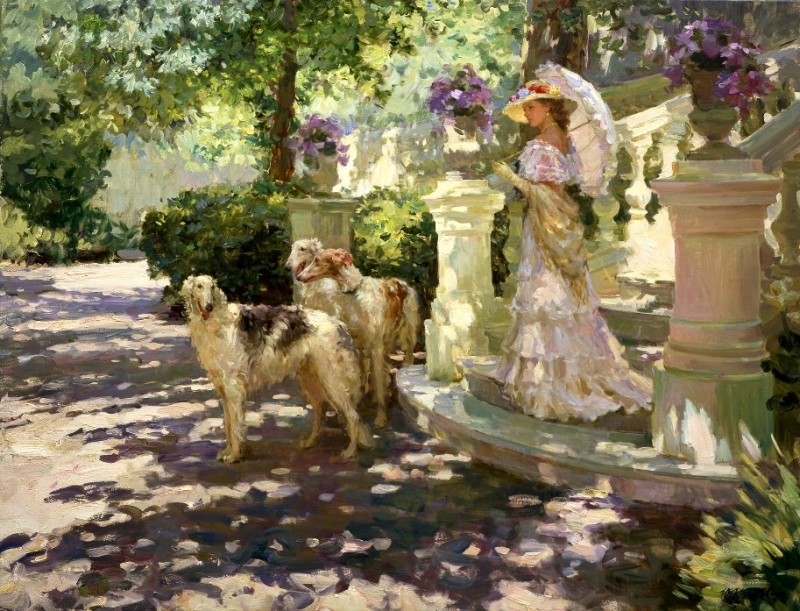 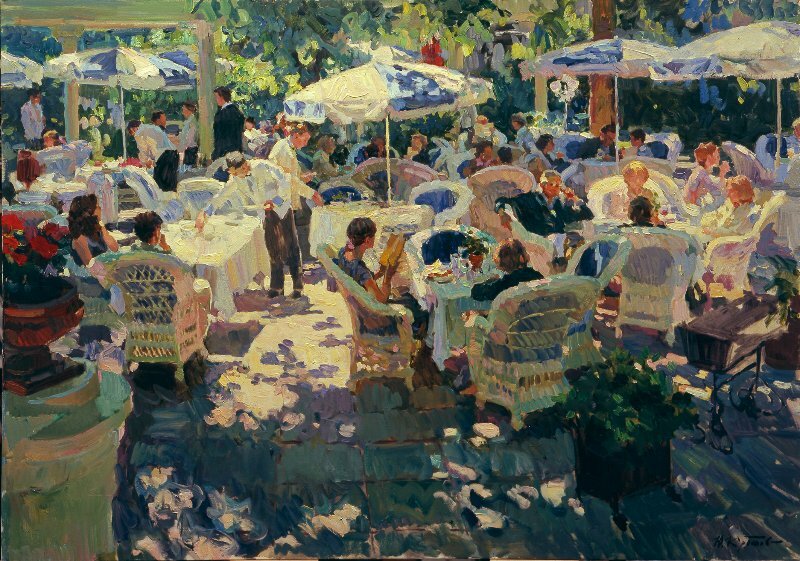 «Morning in the garden»80х100; oil on canvas; 2004. 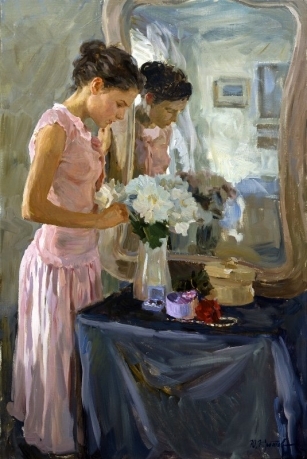 «At the mirrow»91х61; oil on canvas; 2005. 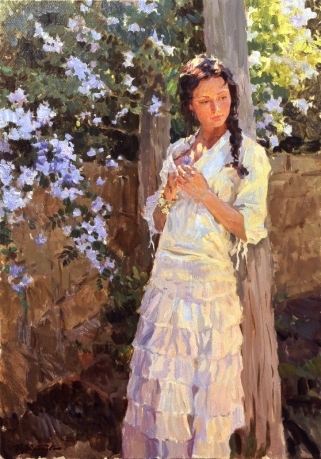 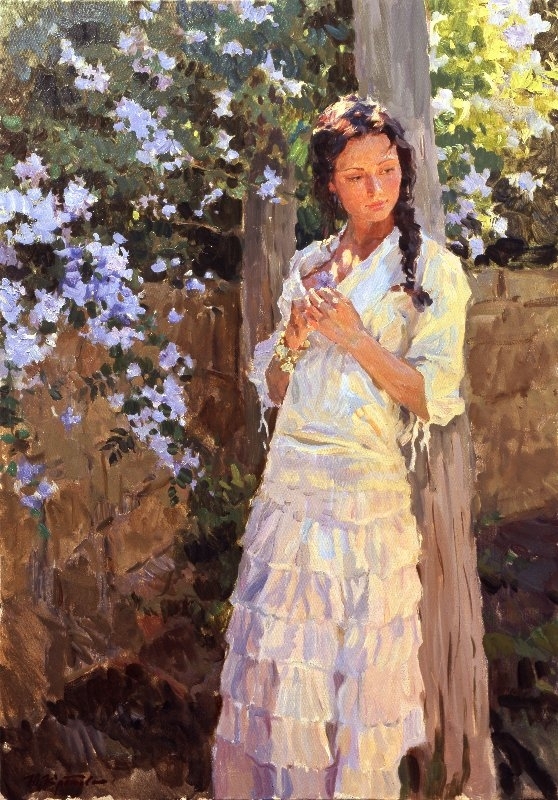 «Daydream in the garden»73х92; oil on canvas; 2004. 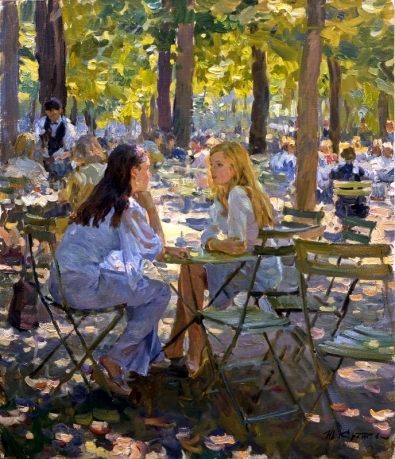 «Love poetry»70х50; oil on canvas; 2004. 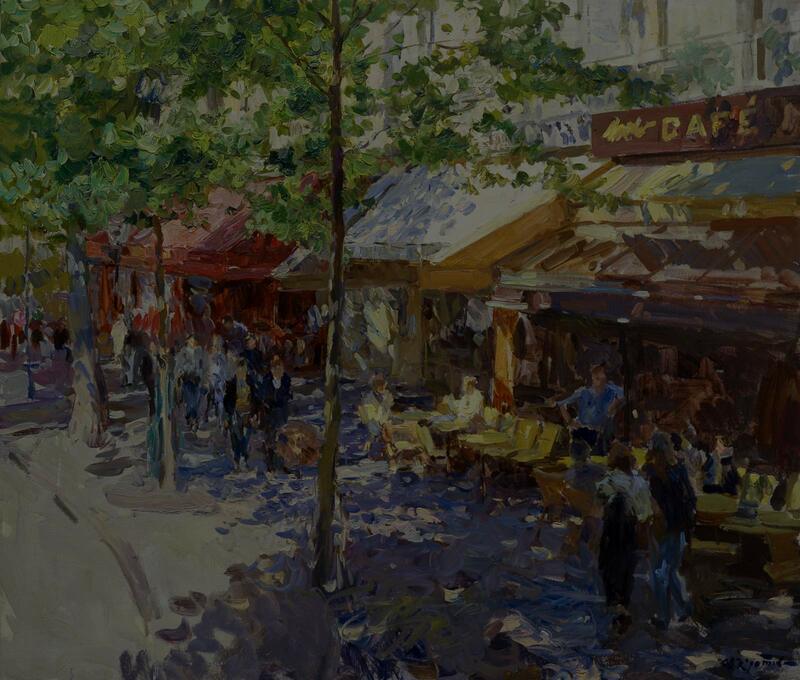 «The widding lunch, Paris»90х227; oil on canvas; 2003.